is a media art project in an exchange between virtual and physical space (online/offline) dealing with the most essential question of human existence, eg. the survival of the human species and planet EARTH as a living habitat for all species and biological systems. 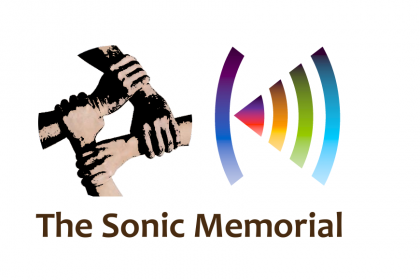 The project is open for digital artistic media (visual – moving, interactive, static images and non-visual – soundart) and -will be released in different presentation formats – a festival (video) and the virtual and a physical exhibition (all digital media). Participating is free of charge. W:OW – We Are One World – that‘s a statement of self-confidence, a real existing positive value and philosophical knowledge, however, an Utopia only, but no real existing practice. As a topic, it is therefore not reduced to some essential issues like ecology, biodiversity or sustainability but the whole bandwidth of issues based on compliance with human rights, mutual respect, equal rights, equal access to education and equal chances for all, the freedom of movenment, freedom of the word, art and sciences which however are guaranteed just by a few democratic constitutions, but practiced in real even on a more marginal scale. If we are truely one world, then whom does it belong to? Governments? States? Corporations, industrial companies, banks? Individuals? Or probably the citizens of the states, the inhabitants of the earth, that is, mankind? Or does it belong simply to life, and it is mankind as the only intelligent structure being able to take its responsibility for protecting the entire biological life in all its facets against any exploitation and misuse at the expenses of the Whole, no matter what biological system it is, whether the human, animal or plant life, the rainforest or the deep sea, or the meadows and streams before our own doorstep. The basic keyword – human made – has two sides of a coin: referring, on one hand, to the incredible achievements during the human civilisatory developments until these days based on humanity, empathy and creativity, expressed, for instance, in art, the sciences and a free and open democratic society, and on the other hand the negative impact of the global warming and climate change, the exploitation of the natural resources on Earth and the environmental destruction and the fatal consequences for all manind on all continents, the revival of populist, separatist, totalitarian and terrorist ideologies generating present and future conflicts – and millions of refugees, enforcing people to start migrating due to the destruction of the living habitat, discrimination, persecution, expulsion and extermination. 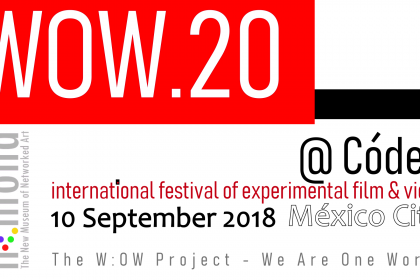 The dynamically structured W:OW Project has to be considered as a kind of sample cosmos, a progressive and experimental common world on a small scale in which the participating instances (artists, curators, etc) are taking a particular responsibility for the “Whole”, as well as for each other. 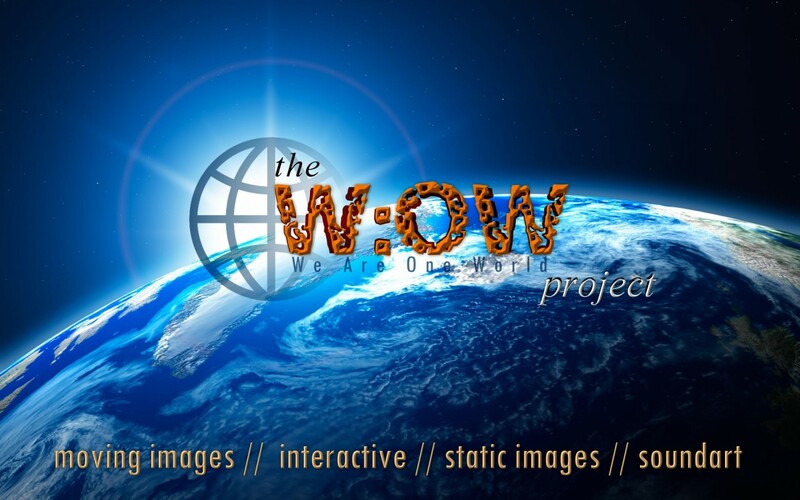 In this way The W:OW Project is representing for them the platform for approaching the Utopia by developing concepts, asking questions and giving answers through the creative works to be incorporated. As the fertile soil for all the issues requiring immediate action – The W:OW Project – initiated by artvideoKOELN & The New Museum of Networked Art and associated networking partners – is inviting artists from all over the world working in different disciplines to reflect (critically) Present and Future of our planet as the place where life as such, the amazing diversity of a magnificent nature and the human species had the chance to arise. 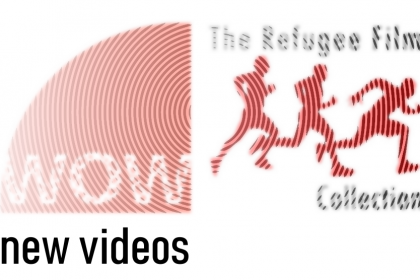 moving image – video / animations welcome! (, duration: min. 1 minute, max. 10 minutes, preview: size min. 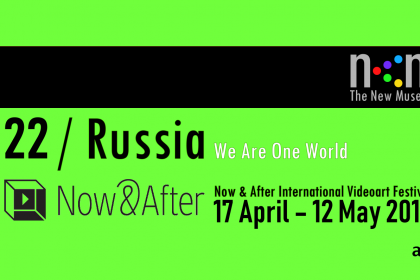 720×576 (480) px, preferred HD, mp4 or mov (H264 codec), PAL & NTSC – exhibition: HD or SD, mp4, mov (H264), mpg2 (DVD), avi (H264) – we are looking for videos using the audio-visual medium in an innovative way, transporting the W:OW topic in an challenging way – from the experiment to new forms of documentary. static image – photography & digital print (preview: size width 1024 px, resolution 96 px – exhibition: size A3, 300 DPI, PNG or TIFF – if selected the image will be printed for exhibition purposes by the organiser). A submission of photography may include also series of works. A serie may include 5 works under a certain theme/title. It is possible to submit up to 3 such series. the submission of physical objects – installation (video, electronic, mixed media) – is possible under certain conditions. 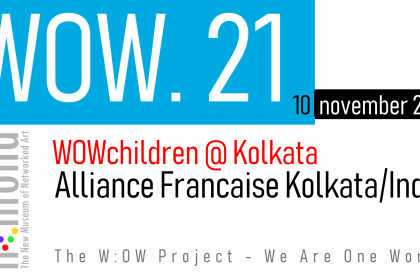 If a physical exhibition of “The W:OW Project” is scheduled in a country, artists living in the respective country may also submit physical works. So, submitting a physical object (installation, 3d wo4rk etc) is only possible on request and the work to be installed needs to be fully documented – see also 6) above.